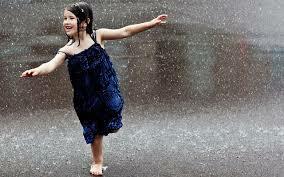 I love monsoon ever since I was a child. 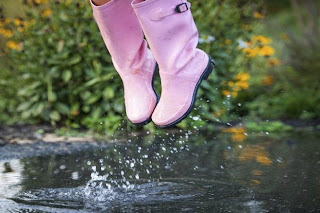 I would get drenched in rain and sometimes, we as kids, would jump into the puddle on the streets or even dance in the rain on terrace. Some people go out and explore while cuddle with a pillow at home, sipping the hot tea with shimla chilli bajjis during the evenings. One of my fond memories was a trip to the Jog Falls, created by River Sharavathi, in Karnataka during the peak monsoon season with a friends family. My friends father drove an SUV vehicle starting at midnight from Bangalore and we safely reached the Jog falls next morning. 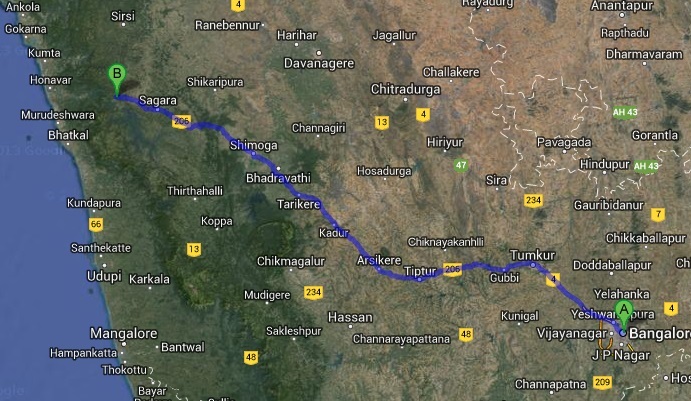 It takes 6-7 hours to reach Jog falls from Bangalore. As her father drove the vehicle, rest of us happily slept while traveling in the Western Ghats. As I opened my eyes in the morning, I was awe stuck to witness the gigantic "roaring" falls namely: Raja, Roarer, Rocket and Rani. There is a famous Kannada movie song mentioning the name of these falls. There are steps to reach the bottom of the falls but it is considered to be very risky as the stairs are slippery and require a stamina to climb more than 1,000 steps! I once again had a chance to jump into the puddle and hold the rain water in my palms while the water falls roared at its pitch, with no competitors. As we sat in the car, all ready for the next destination, shivering with cold as were we wet. We dried ourselves in the car and were ready to reach the next stop, Agumbe, which receives the second highest rainfall, surrounded by lush greenery in the Thirthahalli Taluk. I could see green farms on either side of the tar road. The altitude was so high that I touched the clouds for the first time and see only mountains covered by mist. I shouted my name and the mountains echoed and repeated what I said. Unfortunately, I had no camera nor a mobile phone and don't have a single picture of the trip but the memory of the trip is still fresh. I would revisit the Jog falls with my family members, traveling in a Renault Duster which would make the journey smooth on the curvy roads in the Western Ghats. While we breathe the fresh fragrance from Lavender Ambi Pur Car Air Freshner during the long drive playing antakshari so that the driver doesn't dose off. ;) As we drive along the curvy roads of the mountain to reach the top, which appears like a spring, on the Ghats, people who are not used to travel experience giddiness and sometimes puke out as well. It is essential to carry sickness bags, mineral water, some medicine and glucose as an instant remedy. I would chose a route covering the below places sown in the map and take a few tea breaks so that I don't fall asleep and boot loaded with the snacks. ;) I would choose to drive during the day so that I can click some photographs of the green farms and the village life, which I missed during the last trip and this was the lesson I definitely learned: Never travel without a camera. We will stop at few places, especially, at the sunset point lookouts. I am going to jump into the puddle, float paper boats in the puddle. During the night, I would set up a tent, and dance around the camp fire at our own tunes. This will be my ideal trip. This post is written for Indiblogger's 'The Perfect Road Trip Contest' in association with Ambi Pur India. 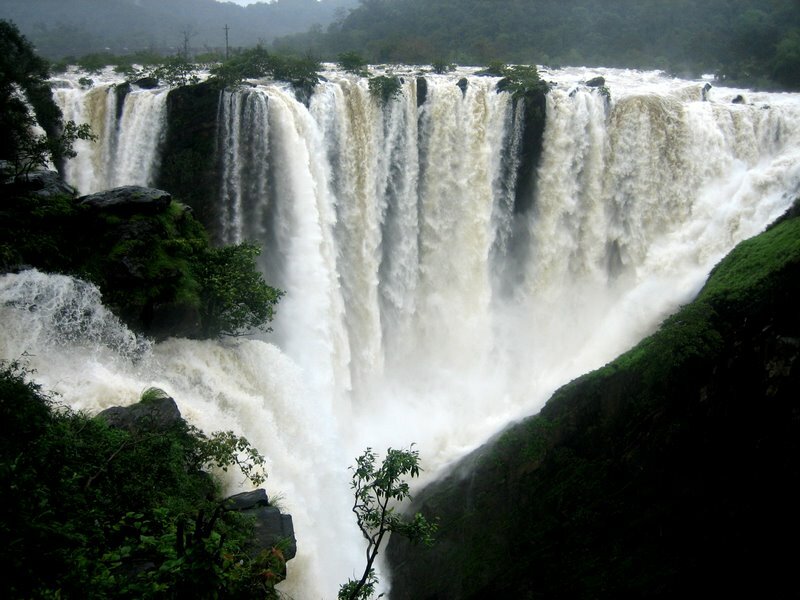 Monsoon is my favorite season too and if someone wants to visit “Jog Falls”, the falls you have talk about in your blog, than Monsoon is an ideal season to go there. I have also visited these falls through a trip before my boston to niagara tours. Tumkur road is the best path to visit these falls. Shimoga railway station is near these falls so you can visit there train too.